Welcome to Plumbers Howth a branch of emergency plumbers Dublin. We are happy to say our company has grown to be one of the most popular and trusted plumbing companies in the county during the last decade we have been trading. We have expanded so as we can offer a complete plumbing service throughout the county. We only hire the best. All of our staff have had the qualifications fully checked, they are all R.G.I. registered and they all have current health and safety certificates. Some have over 40 years experience in the commercial and domestic plumbing industry. We promise work of the highest standard and always deliver as our reviews and testimonials prove. We are fully insures and all of our work is 100% guaranteed. Fair pricing guaranteed by Plumbers Howth. We are well known by our repeat customers for our “fair pricing” policy. We unlike some other companies trade with an open and honest approach. Our Howth plumbers don’t use the hidden charges or add ons when it comes to payment. Our quote is our bond and our prices are always as good as any you will find. No call out fee, no parking fees, no traveling time charge and if we need to source a part we do it in out time not yours and our polite, professional customer service is second to none. These are the reasons behind our success. We have plumbers all over the county including Howth. If you are unlucky enough to have a emergency plumbing problem we guarantee to be with you in under an hour. Day or night. Plumbers Howth also look after the areas below. 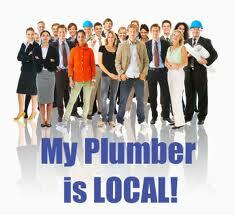 If you ever need a reliable, trustworthy plumber in Howth just pick up the phone a dial 01-6784850. We are available 24 hours day for emergencies and all general plumbing work.